What is your stand on the US sponsored resolution? This is a resolution completely at odds with the traditions of the Human Rights Council, in that it is country specific with regard to matters that do not generally come within the purview of such resolutions. It is a cunning piece of work in that it conflates serious issues, such as war crimes on a scale that never occurred, and for which there is no evidence, with aberrations that are minimal in comparison with those that occur in other countries, including those which initiated the resolution. That having been said, the fact that we are facing such a resolution is largely the fault of the ostriches who have been in charge of international relations as well as domestic policy in the targeted areas. For four years we ignored the UN procedures which are designed to help countries with regard to the noted aberrations, in the fields for instance of religion and prisons. We failed utterly to deal with unfair allegations when they first came out, and engaged in bluster rather than careful attention to evidence, involving the ICRC and those UN agencies that helped us during the conflict. The Ministries of External Affairs and Defence totally ignored my suggestions of clarification and coordination, even though, given the positions I occupied during the conflict, and my excellent relations with ICRC and the UN in recent years, I knew more about the facts than anyone else. But, as the President has said with regard to at least one of his chief advisors, in a description that fits all Seven Dwarfs who dominate policy and practice now, the dominant feature is a determination to clutch everything to himself. Tragic! How do you see the reconciliation process upto now? Unfortunately there has been no focus on Reconciliation. Rather like the capitalism that has failed – as opposed to Liberalism which affirms the primacy of the private sector in economic activity but demands intervention by the state to promote equity and equal opportunities – the simplistic souls who were in charge of executive action that should have promoted reconciliation thought reconciliation would come of itself if enough cement were poured into the area. There was far too little attention to Human Resources Development, and no concern at all with consultation, despite the commitments of the Mahinda Chintanaya, which has been ignored by the Seven Dwarfs. Similarly, discussions with the TNA were sabotaged by those who run the Ministry of External Affairs, and they did not pursue the positive responses of the TNA to three of the matters I initiated – before they stopped giving me notice of meetings, or indeed of boycotts, so that I was waiting with the TNA (a fact Mr Sambandhan conveniently ignores, so that he can insinuate blame to the President, though he knows full well who was responsible). For Reconciliation to proceed, you need a dedicated Ministry, with the lady who is in charge of the implementation of LLRC recommendations as its Secretary. It is a pity that I was not put in charge four years ago, but of course it is too late for that now given my refusal to vote for the impeachment last year. 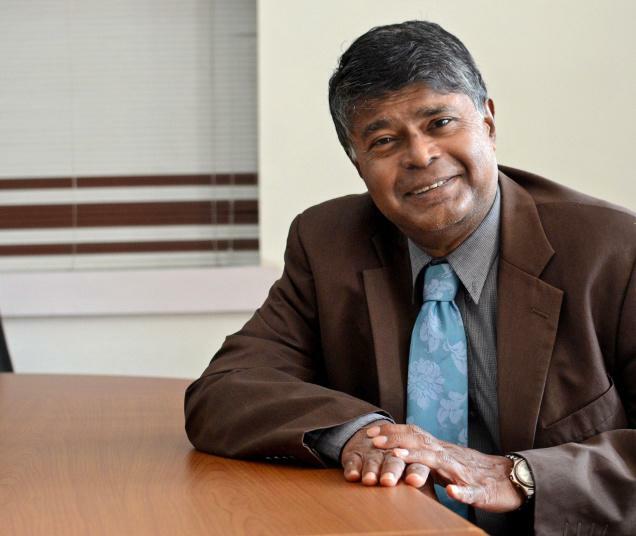 But even though no one else has the experience and understanding, I can think of several others – from what I consider the decent, moderate SLFP, as opposed to the turncoats who now surround the President – who could inspire trust. Or else the President should take the responsibility himself, with Mrs Wijayathilaka as his Secretary. Incidentally, I am currently with a former ICRC official who told me a year ago how impressed he was with her, because for the first time he heard language from a Sri Lankan official that had been missing. The UN response to her was similar, but it is noteworthy that, until I introduced them to her, those who insist on hugging things to themselves did not publicize her new role. How do you see the recent global criticism on Sri Lanka’s human rights violations, and its rights record? I see it as both hypocritical and Machiavellian, since it is obviously designed to promote international, for which read Western, interference in Sri Lanka. Unfortunately our blunderbusses think that hitting out at everyone with regard to past excesses will excuse us. But what we should be doing is pointing out to other countries the possible damage to them, in the future of such selective criticism, which is also geared towards splitting up countries into bite sized chunks. I have recently been in both Ethiopia and the Sudan, which suffered such splits, and the current state of both Eritrea and South Sudan is appalling, while they continue irritants to the countries from which they were formed. Obviously both India and China will be targets for such splitting if they seem threats in the future. But while we must defend ourselves internationally, we must also take remedial action where there are problems. The skill of the resolution lies in the fact that many of the current problems it identifies are real ones, even though they would normally not be in resolutions before the Council. We must acknowledge the seriousness of those problems, for instance the attacks on religious places of worship, given that they seem to have state patronage, and ensure swift police action when such violence occurs. It is simply not good enough to be told, as I was by a great fan of the Secretary of Defence about his involvement with the BBS, that without that they would be worse. He should have stopped them being bad, since history teaches us that they will only get worse if unchecked. It would be profoundly ironic if such blindness leads to continuing unfair criticism of Sri Lanka and its armed forces which did such a great job, and with greater commitment to decency than many armies fighting terrorism. But efforts to excuse the inexcusable, including those responsible for the few aberrations the LLRC highlighted, will lead to betrayal of the vast decent majority. That is why, for the sake of Sri Lanka and its citizens, not because of external resolutions, we must do better on Human Rights. Sadly, and ironically, given the superb initiatives of the Rajapaksa goverment until 2009, now as with the Jayewardene government, we seem to do too little too late always, and always under external pressure.